I have recapped the “Ontario Association for Mathematics Education” annual conference for the past few years - though never quite this late. (Registration is already open for 2017.) You can check out the OAME 2015 recap, the OAME 2014 recap, the OAME 2013 recap - or keep reading to see 2016. There’s information below on mathematical art, the history of Euclid, redesigned classrooms and more. A quick preface first: The trip to OAME 2016 itself was rather interesting. I’m in Ottawa, and couldn’t leave until the end of the school day anyway - but after school on Wednesday, May 4th, it was the reveal of the Cappies Nominations. And the director was overseas. As such, I left the Ottawa Citizen after 5pm, headed to Barrie, more than a 5 hour drive away. Many thanks to Mike Lieff (my roommate again), for picking up my registration items. Discovered there was no WiFi in the residence rooms, so found myself in one of the commons rooms at midnight tracking Cappies. I did manage to get sleep though, so let’s launch into what happened the next day. 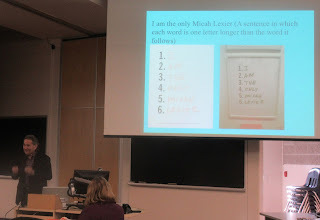 My first session was “I’m Thinking of a Number: Introducing your Students to Micah Lexier” by Ron Lancaster. (Ron has been mentioned in prior OAME recaps.) Micah Lexier is an artist using math to visualize information. Ron asked the audience for artists who use math in their work; Escher is the first obvious choice. Others mentioned included Salvador Dali (Hypercube Cross), Anish Kapoor (parabolic work) and Frank Stella (geometric abstractions). An option: Start class with a piece of art, a more complicated alternative being developing their questions to run a project. Micah Lexier was born in 1960 in Winnipeg (Canada) and he won the Governor General’s award in 2015. Some of his public commissions are in the TTC Subway @ Sheppard/Leslie (ampersand), the Air Canada Centre (visualizing Leaf wins/losses/ties), and museums. The way he creates art can be mathematical; in Toronto’s Metro Hall, there are words on 350 ladder rungs. If you pull a ladder away from the wall by 10 cm, does it drop by 10 cm? He takes data and displays it in a way we can understand. His “Self Portrait as a Wall Text” looks at life expectancy as a contrast of white/black and was updated in 2013 from 1998. Another visual representation is his 906 copper coins (engraved with numbers) that are meant to be transferred from one box to another, one per month, for 75.5 years (life expectancy). The transfer also moves from order (coin stacks) to chaos (random placement). Ron had a brief aside about the Documentary “Paperclips” (2004), an attempt to visualize the Holocaust. He also mentioned the movie (x+y). Micah’s “All Numbers Are Equal” shows the arabic numerals with the same surface area. “I am the only Micah Lexier” increases by one letter each word, leading to sequences, series and patterns - have students come up with their own questions? Micah’s “39 Wood Balls” are arranged from smallest to largest, expanding by an eighth of an inch, which looks big on 2 inches, less so on 6 inches. (39 as that was his age.) Can lead to a consideration of volume versus radius, and/or cubic functions. This is in the Art Gallery of Ontario. He also has a bus shelter project in Winnipeg. Ron mentioned some other (unconnected) works like the Allegrocube in Montreal and 14 Benches in Vancouver. Holy Trinity School in Richmond Hill had a “This Art of Math” project for Grade 7 students; miscommunication about the session meant students couldn’t be here for Ron’s session. But see http://tinyurl.com/2016OAMELEXIER for more on Micah Lexier, and this was one of the sessions recorded by OAME. Ron concluded with his “Complex Hotel” image puzzle. My second session was the Thursday Keynote: “From Flapping Birds to Space Telescopes: The Art and Science of Origami”, by Robert Lang. I’m separating the keynotes into their own post, so check there. 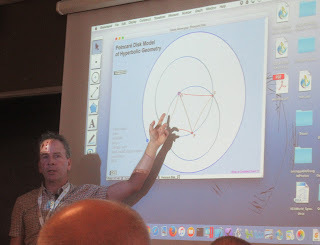 My third session was “A Math YouTube channel & the Flipped Classroom” by Allan Richards. The twist being he was at his school (in Ignace) and live broadcasting to the room, with an OAME facilitator there to handle the video/microphone. Of note, before this started, Bob McRoberts was doing a giveaway of older items in the hallway outside. I grabbed a Gazette from 1975 and a book of statistician tables because I have a thing for history. Screen capture software he used was Camtasia; it’s one of the more expensive ones, but is cheaper for teachers and for Mac. (~$75) It’s nice because one can straight capture part of a screen. Some screens captured were from GeoGebra and Desmos. Setting it to powerpoint means dynamically changing shapes with mouse clicks. His video organization was by Ontario Math Course; latest batch is Data Management (via McGraw-Hill text). He gets maybe 10 comments per week, at a ratio of about 15:1 being positive:negative. In seven years, he’s only had to ban 2 people. YouTube does provide a lot of analytics to track viewers; roughly 35% are female, the other 2/3rds being male. He does make a bit of money by monetizing the popular videos (this after having 100+ videos his first year) but didn’t do it to become rich. Allan showed a video on shortest distance of point to a line with some trig, right angles and tangents. He notes it can take an hour to do one page, though this was longer to fit more happening on one page; “you can be fairly complex in what you’re doing”. Be careful: he contacted McGraw-Hill asking if he could use their examples with credit. They said nope, that’s copyrighted, take it down, meaning he needs his own example versions. He took questions. There was one on scripting vs. freestyle (I forget if this was my Q), and I believe it was more the latter as he said something like test solutions can take up to 5 or 6 takes. You can annotate on YouTube, adding details in text that might have been missed. There was also a question on academic vs. applied level, and he said he’s done more of the former. The latter may need more supervision, and he said some students would forget to watch the video, viewing it in the first 10 minutes of class. My fourth session was lunch; I ended up with a drink I didn’t like, but was able to trade. Looked at exhibitors. I’ve made a note of Sheri Walker, Patricia Clark, and Laura Wheeler; not certain if that was lunch only, or also into my fifth session, as I was at a table with Sheri then too. My fifth session was “Introducing and Implementing a Mathematics Lab” with Janet Juby and Mike Szarka. The “Math Lab” was a separate classroom that could be booked by mathematics classes. It took $7500 to make, largely spent on iPads, but now students have their own devices. The idea is converting THINGS into equations, which happened almost by accident doing the things recommended by research. Start with a short, clear problem and encourage growth mindset. Clips were played for us from Dan Meyer’s TED talk (sources of error), and some on growth mindset (including ‘Bridge to YET’ a game that rewards progress). Give praise to process, be less helpful, et cetera. Everyone in this session was given pattern blocks and the Problem “Build an interesting growing pattern and represent it mathematically” (as an example of a “lab”). 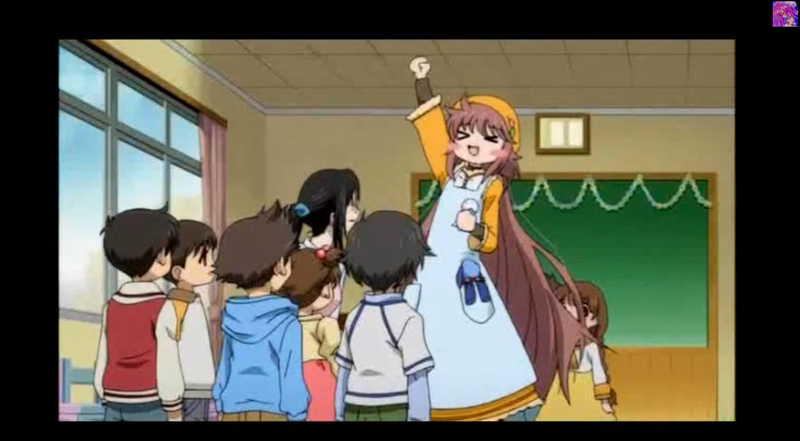 There can also be an activity filmed on a tablet. It was noted that labs SAVE time, one day can be used for vertex form of a parabola instead of three. One reason for the separate room is “this is an environment where they try and they fail and try again” (in the regular class there’s more reservations). Also physical movement occurs, and there’s more impetus to write things down if already standing; whiteboards are almost imperative. To get a starting point for your own “lab day”, look up “investigation” or other key words on the web. At this point it was 4pm, and there was a “Wine and Cheese” in the area of the exhibitors; there was still some cheese at the back of the room when I arrived. On the way back to residence, I also photographed items for OAME’s “Math Mystery Tour Challenge”, which had been an event the previous evening, introducing the venues - but submissions for the answers were still open. There was then a gathering in the commons room back at residence for Ottawa Teachers and more. It was followed by a gathering in Barrie, at a pizza place, for Twitter teachers. I went there for about half an hour (and handed out a couple cards), then proceeded on to the OAME Dinner, which was on Thursday this year, rather than Friday. Robert Lang, from the origami keynote earlier in the day, also spoke before dinner. I've included that in the Keynote post. Dinner was excellent, buffets always get a win; awards were given out. The notes I’d written on a napkin I transferred to paper once I got back to residence. My first session was “Developing Grade 9 EQAO Mathematics Open-Response Question Scoring Materials”, by Katy Funston and Paul Hogue. They began by considering the four categories of the achievement chart: Knowledge/Understanding, Communication, Thinking/Inquiry and Applications. The Open Response questions focus only on the last two categories (though communication is inherent within). Application looks at selecting an appropriate tool to fit the problem. Thinking looks at sequencing a variety of tools (the critical thinking process). The scoring is by code, similar to levels: 10, 20, 30, 40. (30 representing a “considerable” understanding.) There is also Code B, for Blank, nothing written. And Code I, for Illegible (crossed out/erased/not English) or Irrelevant (off topic drawings/writing “I don’t know”). An incorrect answer with no work shown is a 10 (not B or I). A correct answer with no work shown is a 10 (if answer is a choice, ie- yes/no) or a 20 (if a calculated number). Note any question that makes it into the EQAO has been seen by a Grade 9 student who had input. Everyone in the session (about a dozen of us) were given a scoring guide for a Grade 9 Applied Program question on Cellphone Plans. We were also provided with “anchors” for a question entitled “Roll with it” about partial variations for an amusement park. Anchors are student solutions that can be used as a benchmark for scoring others; actual scoring is based on picking an anchor. The final level is based on the ENTIRE piece of work. “Range finding” is the process of choosing the anchors (if field test). 3+ people are wanted to have a consensus, not just two. In training, 4 solid and 8 “edge” papers are provided. Often an anchor may have a small error (ie- units) to show that it’s still okay; want to pick a HIGH 10 and LOW 40. We then modelled this process; everyone had a stack of papers showing an EQAO question (which we could not bring with us) and we sorted through them, giving scores on a tally sheet. Then we discussed in groups of three. Interestingly, at one point, my partners’ 20/30 debate was for me a 30/40 debate. One needs to be careful - a 30 isn’t a “level 3”, there is a wide range there embodying a group of work. Discussion took us to the end of the session. My second session was the Friday Keynote: “The Joy of X” by Steven Strogatz, who wrote a book of the same name. Again, go to the Keynote post (at that link) for information there. My third session was “Time’s Arrow: Where School Geometry Comes From and Where It’s Going”, by Nicholas Jackiw. He’s one of the original designers of Geometer’s Sketchpad (GSP), and his presentation was done in GSP. Euclid’s Elements was the “longest published text of all time”. It’s actually 13 volumes, being a new way of describing and thinking. The first third was on plane geometry, and the last third was the Platonic solids. (The other third was about numbers.) It’s written to be decontextualized, depersonalized (mathematics writes itself) and detemporalized (Anti-Time: nothing coming or going). Zeno of Elea (450 BC) had questioned how can motion even be a part of time (“Zeno’s Paradoxes”). Let us ReContextualize Euclid: We know nothing about his life. [The internet says Euclid was born “300 BC”; “330 BC”; “325 BC” depending on your source.] If we solve “a word problem” as given in ancient times, we can figure out when he lived. (The “word problem” is from Eudemus in 3rd century BC, via Proclus of 5th century AD.) We know Euclid was after Thales and Pythagoras (about 500 BC). We know he was before Archimedes (sphere/cube on his tomb) and Eratosthenes (about 200 BC). Plato (around 400 BC) didn’t like writing things down. “If you write stuff down, you’ll forget it” - and how can you do math that way?! His students Theaetetus and Eudoxus worked with solids and numbers respectively. Euclid seems to have ordered/proved their work, which brings us to the time of Ptolemy the First (367 BC-283 BC) - not to be confused with the last Ptolemy, in the time of Cleopatra. That’s as good as we get. We can mathematically determine the Platonic solids: m*theta < 360 degrees, where m is greater than or equal to three, because it’s the number of faces at the vertex of a solid where all angles are theta. In other words, set m = 3. A triangle has 60 degree angles (so 3*60 < 360) giving us the tetrahedron, a square 90 degrees (270 < 360) giving cube, a pentagon (108*3 = 324 < 360) gives dodecahedron, a hexagon (120*3 = 360) is no good. Set m = 4, a triangle works (60*4) for the octahedron, the square does not. Set m = 5, a triangle works (60*5) for icosahedron, and that’s everything. It’s generally accepted that the Circumference of the Earth was first measured by Eratosthenes, who knew of a deep well in Syene, and could measure the angle of the sun in Alexandria. (This around 240 BC.) Archimedes’ essay on “Measurement of a circle” approximates pi by considering polygons with an increasingly larger number of sides. Some of Archimedes work has been recently found! A prayer book was written on a prayer book but THAT was written on a lost Archimedes manuscript (which had been copied from the original papyrus onto parchment). We see that “to do round things right you don’t need calculus” (see the Keynote) though Archimedes IS using “limits”, a method of exhaustion by n-gons. He had methods of dealing with infinity. Looking more specifically at “Elements”, Book 1 contains 23 definitions, 5 postulates, 5 common notations and 48 propositions (what you can show/prove from those). Of note, the FIFTH postulate, the “long one” aka the “Parallel Postulate” is only invoked later on, after the 26th proposition. Is it necessary? We’ll come back to that. Euclid says things once without labels, and then with labels, creating them into existence. He DOES use dynamics, his method of “superimposition” in proof is “dragging” items. He proves a^2 + b^2 = c^2, using a geometric argument of triangles that is “shear brilliance”. (You can move a triangle area without changing it by keeping the same base and height.) Nicholas remarks that when GSP software came out, math was “horrified”. Since pulling on a vertex means you have the same triangle labelled ABC but it’s NOT the same, as angles have changed. WHAT’S HAPPENED since “Elements”? A whole lotta nothing. During the Dark Ages it was kept in Baghdad, and kept getting rewritten, introducing copy errors (learn ancient greek!). A written version was terrible educational technology anyway; it’s a representation only. The creation of the printing press was a new horror - now any errors will be in EVERY copy of the book. Finally, a rebirth, and a question was posed: if we assume Euclid’s fifth (“Parallel”) postulate is FALSE, do we reach any contradiction? 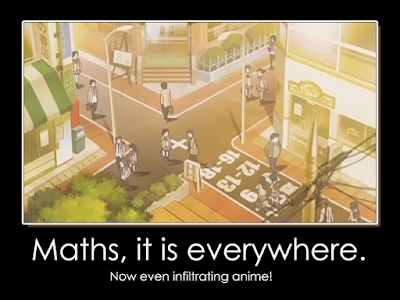 It turns out we DON’T, but the math that results is non-Euclidean. We get the Poincare Disk Model of Hyperbolic Geometry. Without the 5th postulate, equilateral triangles may NOT be equiangular. Only the tiniest hyperbolic triangle looks Euclidean. Computer programming may be in the process of bringing Geometry back. That said, if we consider visualization to be an example, it’s “bad” when an example is changing (as we manipulate it). But if we consider visualization as representing an abstraction, not approaching it from the math, we may be onto something. 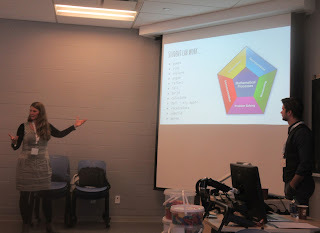 My fourth session was lunch, but on the previous day I’d seen people grabbing their lunch and running off to sessions, so I did the same, heading to “OAME IGNITE!”, a series of short talks on a subject. I was slotted into it for the fifth session anyway (it’s a double session), and have recapped IGNITE in previous years. That’s in this separate post. With that over, I wandered back by the Registration area, to check my solutions for the “Math Mystery Tour Challenge” which I’d been working on throughout the day. Then I went to the OAME Annual General Meeting - possibly the last one to be held at the OAME Conference, owing to a motion that it occur at the end of the fiscal year, online. That motion passed. Future meetings will be a virtual forum, with voting going out 3 weeks prior. Other items discussed included the fact that the Conference was in the hole last year (down 27500, though had been expected to be down 30000). Digital fees & Paper fees are up, travel is crazy with hotel fees. The meeting adjourned at 4:55pm, after which I had a brief chat with Tim Sibbald (President, now Past-President). That evening, I took it easy. I went back to the Pizza Pie place (where the Twitter group had been on Thurs) to actually try their pizza for dinner, watched a video in the commons room with the Wifi (unless that was Wed...) and did some writing because my serial website was publishing one "Epsilon" entry per week. My first session was the Keynote, “Good News Everyone: Mathematical Morsels from The Simpsons + Futurama” by Sarah Greenwald. See the keynote post for that. My second session was “Solved by Mathematics”, by Serge D’Alessio from the University of Waterloo’s Centre for Education in Mathematics and Computing (CEMC). He looked at 10 problems in the field of applied mathematics (close to science and engineering) with the idea that there’s enough in each problem to intrigue, and show how much can be applied in the world. 1) Spirograph (rolling a wheel inside a bigger wheel) to Hypercycloid. “The cycloid” is traced by a point on the edge of a wheel. A line connecting the centre to the outside is initially vertical, but then changes by angle ‘theta’. We can get parametric equations (much more beautiful than solving for theta, which is a mess). Considering “the involute of a circle” for the hypercycloid, construct some right triangles and use arcs. Related, tracing out a crank that moves pieces horizontally + vertically makes an ellipse. 2) Leaning Tower of Dominoes. Each one you stack swings out more, how far past the table edge can you go before it tips? If you’re going to design a structure like an overhang, make sure it’s possible with pencil and paper before wasting time on construction. “Here’s where you need some physics.” Balancing torques. How far to slide a point mass (centre of mass) leads to a pattern sequence. A mathematician might ask, is it a finite horizontal distance, or is it infinite? Turns out to be a harmonic series that diverges - SLOWLY. 3) The Galton Box (plinko). Probability of “bin X” is the binomial distribution. Then we approximate with Normal. Note that Stirling’s Formula states, for large factorials, n! approximates root(2*pi*n)*(n/e)^n, a limit... also root(2*pi) approximates e. Also, a Riemann sum approximation has ln(n!) as n*ln(n)-n+1. 4) The Water Clock. Bowl shaped cavity (cutting it gives circles), how long for it to drain? The Greeks knew this, “The Clepsydra”. Water lost must equal water out, by conservation of mass and that water is incompressible (not quite true, considering the bottom of oceans). “Torricelli’s Law” looks at speed of fluid, want to guarantee water drains at uniform rate to measure time - but significant ERROR occurs right at the hole. Higher speed, flow is turbulent, law breaks down. 5) The Catenary. Resembles parabola, but is how chains/power lines fall between poles, “free hanging”. Draw a little segment, do all forces, by Newton’s law the forces balance, so it’s a differential equation (2nd order non-linear). Normally you can’t solve these exactly, but we can using cosine hyperbolic. Which doesn’t depend on the properties of the chain/string/etc! (Constant “a” divides out to give *dimensionless variables*.) y/a = cosh(x/a) = 1/2(e^(x/a) + e^-(x/a)). In suspension bridges, hanging cable also supports the bridge weight, hence weight of cable is so tiny as to be ignored, hence approximation with a parabola. 6) Floating Chain Demonstration (inspired by YouTube video). If you have a chain of beads in a container, and you pull one end out, as the rest of the length follows by gravity, the chain will “float up” as it unravels, rather than dragging on the edge of the container. Why? Momentum? We don’t solve that, we solve a simpler problem; falling off a platform edge from a peg. The speed of the chain relates to a first order, nonlinear, differential equation. Can use Bernoulli here. 7) Van der Pol Oscillator. Inspired by circuits, he proposed an equation that comes up in different problems, even biology. There are no exact solutions, even though it exists (valid for small mu over time) meaning “approximate analytical techniques”. Can we just program everything? The computer spits out numbers but doesn’t talk about the numbers, we don’t know how the solution actually behaves. Can validate code though, verify numerical code is working right! 8) The Brachistochrone Problem (“shortest time” problem, from Greek). Minimizing time of descent for a particle on a smooth, frictionless surface; Bernoulli was first to solve. Only ONE curve minimizes time, the Cycloid Half-Arc. Newton discovered calculus of variation from Bernoulli challenging others on this (“solved in a day”). Useful as a property of light is it bends at surfaces/mediums. (Related: Fermat’s Principle and Snell’s Law.) Interpret vertical distance down as each layer being a new medium, constantly bending particle. This connects to Trig Identities, as we have sine, constant at a point, turned into cosine, turned into secant, turned into root(1+tan^2) which IS SLOPE. The “Tautochrone Problem” also uses cycloids. The design of pendulum clocks, where the period depends on 2*pi*root(l/g),only has that true at the small angle. Swinging in a cycloidal path, side walls bend the string, irrelevant of release angle. 9) The Magnetic Pendulum. There’s the influence of gravity but also magnets under the pendulum; it eventually finds a resting swing (vibration). You can get three different trajectories from an initial position that is VERY close, implying if you’re just a bit off in measuring, your prediction is useless. (-0.95, 0.09), (-0.95,0.095), (-0.95, 0.1) have three different resting vibrations. Butterfly effect/Chaos theory: “Any change in initial conditions will change things down the line”; weather is hard, looking at air pressure + velocity at points in the atmosphere. 10) The Double Pendulum. A “double jointed pendulum”, replace a pendulum by a point at the centre of mass. One follows a circular path, the other is all over the place! Even if two at once start in synch, they immediately change: the size in mm isn’t exactly the same, or air friction is different; it’s unpredictable. Serge said he does talk to high schools, trying to match a problem to a class. The spirograph (1) only needs trig, a 1st year calculus class can handle Brachistochrone cycloids. This session (which incidentally I attended with Anne Fitton) was followed by a nutrition break. My third (and last) session was “Making Math Stick and Increasing Perseverance”, by Lindsay Kueh, Sheri Hill and Adrian Rawle. You can access their presentation at: http://tiny.cc/oamemakeitstick ; they had redesigned their Grade 10 Academic Math course to remove unit tests in favour of cumulative quizzes and thinking assignments. They also limited calculator use. The redesign was born of frustration, students exhibiting poor retention, low perseverance, lacking basic skills (numeracy & problem solving). You may be “really good at writing the letter E, but if that’s all you have, you can’t do anything with it”. The book “Make it Stick: The Science of Successful Learning” helps consider how to remember things. So how to compile your course in a constructive way? How you practice makes a big difference. TYPES: (a) Massed (doing layups all day); (b) Mixed (no focus on layups, but all types of shots); (c) Spaced (taking time before practicing again, remembering how). Deepak Chopra, “Instead of thinking outside the box, get rid of the box”. They did “Fast Fours” as review Mon/Wed/Fri, had “Problem Solving Days” (Thu) and random activities on “Fun Fridays”. Lessons Mon-Wed. The elimination of tests and reviews gave them 12 days for half period quizzes (Tues) and the problem solving. Lessons were main skills, less “application”, and homework time in class was removed (some students say “I’ll do it at home” anyway). Students teach their peers and argue, increasing collaboration; it’s non-threatening testing and faster feedback. They’ll get to see you randomly mark using a document camera, celebrate cool mistakes and students start to believe they can get better. 3) Homework. (A google image search produces the usual feeling of students.) There’s 10 Mandatory Questions each night, 5 from the lesson, 5 from prior material, taking perhaps half an hour. No textbooks. It was a challenge to cut it down. Can tell students if they need more, do the “Prepractice” questions (the easier ones at the start of a text section). Homework checks were done by online dropbox with a spreadsheet for tracking. It’s there as proof of completion if a problem is later seen in student work. Questions eventually cover some Grade 9 within the Grade 10. Important skills hit every few days. In the normal system of Topic Lesson-Test-Exam students are “free to forget”. Growth mindset has an ability to improve understanding. 5) Fun Fridays: Tarsia Puzzle, Jeopardy, Desmos, Clinometers, Kahoots, Coding with Khan, Review Relays; try more new things. Modelling out of the comfort zone. Don’t need to connect; in the middle of quadratics, threw a trig Friday at them, unfazed. They can buy in that math exists out of class. Conclusion: It’s time consuming (they met over the summer). Hard to keep up grading Thursday’s problem solving (every week). Can be thrown off by assemblies, semester days of the week aren’t the same (holidays, etc). Perhaps online quizzes would improve things? It does show what prior students had trouble with and the importance of struggling. There was some time at the end for questions, one item that came up was IEPs who get extended time; usually can decide when to do the test (into lunch?). 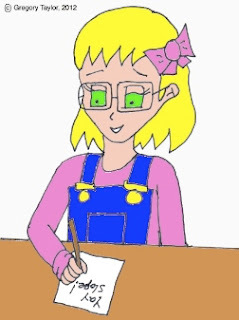 Anyone absent who missed a quiz would make it up the next day, or have it not counted. That was it - the conference wrapped up at 1pm. With it being free comic book day, I went to a local comic book place in Barrie, grabbed a late lunch, wrote more of my serial entry for the next morning, and then drove back along the smaller highways (118 and 28) for a change. En route I saw a 9% truck gradient (which was in town, I got a picture) and later an 18% (which I did not photograph while driving). And that was that! If you have comments, clarification or other thoughts, feel free to let me know. Thanks for reading.